Recently, I penned a few notes regarding recent exponential rise of “Micro-VC” (loosely defined as firms that raise sub-$50MM-$100MM funds to invest in seed stage companies). According to CB Insights, at least 135 firms such firms exist today! 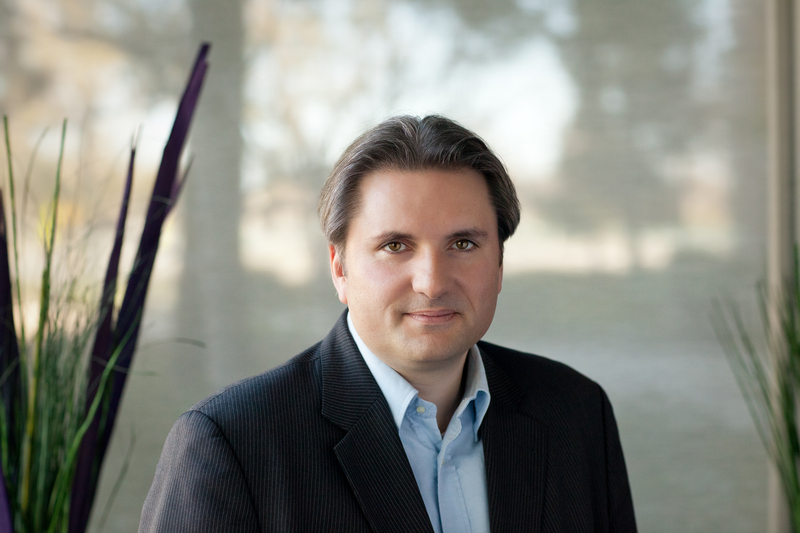 Jeff Clavier, founder of SoftTech VC is without a doubt a pioneer in the institutional seed investing space. The SoftTech team has made over 150 investments since inception (including companies such as Mint, Fitbit, Wildfire, and Brightroll) and recently closed their 4th fund with $85MM in capital commitments. Personally, I’m a big fan of Jeff and the SoftTech story and he was gracious enough to share with us his unique perspective on the ever-evolving seed stage financing market. As a first generation “Micro-VC”, you have seen the evolution of the seed-stage market first hand over the last decade. Can you give us some background into your journey? When I started full-time angel investing in 2004, things were certainly very different than they are now. Back then, seed rounds were smaller, and typically took many angels to fill up, most of whom were brought into deals based on whom they knew rather than the relevant experience and value they brought to companies. Party rounds, which I think are terrible, were certainly the standard. Some full time angel investors like me became known as “Super Angels”. Some of the most successful investors within this group then began to raise formal venture vehicles and became the first generation of what we now call Micro-VC’s. It was actually a small group up until the last 2-3 years, when an influx of supply (new fund managers) and demand (from limited partners) created the current explosion we’re seeing within Micro-VC. Not surprisingly, I now often meet people who either want to be entrepreneurs or VCs, and sometimes both. The explosion of funding opportunities certainly provides entrepreneurs with more choices. In addition, the reduced barriers to entry have allowed some talented young investors start their own firms, many of which bring a fresh perspective to start-ups. With the explosion of Micro-VC funds and the availability of other retail financing solutions, capital seems to have become a commodity, and not a particular scarce one. How has SoftTech become a desirable capital source for entrepreneurs? Yes, capital is definitely a commodity at the seed stage. The best companies and entrepreneurs will have no problem raising given the number of seed investors, retail and institutional. Adding value through relevant connections, sector expertise, and operating experience is paramount today. We are fortunate to have become one of the established seed stage venture brands and our pitch is simple. We have demonstrated success in helping over 150 companies develop and scale over the past 10 years. Additionally, through our trusted relationships with traditional venture firms, we have been very successful in helping our companies raise Series A and B rounds from top tier firms. Our fund size also allows us to be a prominent follow-on player and an active partner much longer than most seed stage investors. Of course, some seed firms will try to jump on opportunities and win by offering premium valuations, but that’s not going to be our approach, and usually not in the entrepreneur’s best interest. Instead, we are going to focus on being an active partner and adding as much value as we can. As such, we don’t typically invest in “party” rounds” as those result in a situation where no one cares enough to really help. Instead, we focus on leading or co-leading rounds, and forming the most strategic syndicates possible in our deals. What are the things that you learned that you would relay to new Micro-VC fund managers that are raising right now, or thinking about starting their own funds? Is there anything that you would have done differently? Well, first you must do an honest self-assessment of your skill-set and network. Raising money from investors is a huge responsibility. You should be able to give LP’s a reason to believe they will get a 4X return on their capital as a bare minimum. As such, every potential manager should determine whether they have the track record, skill-set, and network to be able to provide those type of returns. My first fund was really just my own capital, as I wanted to prove that I had what it took before taking on the responsibility of outside capital. One mistake I made was not thinking carefully enough about my LP base. In 2007, my 2nd fund came together quickly and I didn’t really think through the composition of the LP’s that I was bringing in and whether they were going to be long term partners of SoftTech. As I found out, it does matter. When I was raising Fund III and keep in mind this was post-2008 when LP’s really pulled back, my core Fund II LP’s didn’t re-up despite great fund performance. This caused me to have numerous painful conversations with prospective new LP’s on why many of my old LP’s were not coming back in. I found out later that other firms who had carefully constructed a core LP base had a much easier time raising their funds during the same period. Therefore, I’d advise to be very thoughtful about your LP base. Build relationships with thought leaders in the space and make sure that they are committed to the long-term vision of the firm, and multiple funds. It’s no different than how entrepreneurs should think of their venture investors. Now we are fortunate position where our top 15 investors in our 4th fund, who we know are great long-term partners, comprise >80% of our capital base. Finally, I’ll say that in today’s environment, you really need to be differentiated if you don’t have an existing brand. It could be geography, sector, or network, but you have to have a tangible point of differentiation and it has to be real. We’ve seen the first generation “Micro-VC” funds grow in size – case in point is SoftTech, whose funds have increased steadily ($1MM,$15MM,$55MM,$85MM). Do you think the other successful firms will continue to raise larger funds to optimize around things like pro-rata rights? It’s a good question. As I mentioned earlier, rounds for the best companies are getting bigger. As recently as six months ago, seed rounds were generally capped out at $2MM. Now, I am seeing $2.5MM-$3.0MM seed rounds; and I’m not referring to the edge-case YC companies, but the general universe of seed stage companies out there. Of course, more capital at higher valuations means raised expectations and bigger Series A rounds for the companies that have the necessary traction. For most well performing companies in our portfolio, I prefer them raise at least $8MM to $10M in their Series A rounds as I’m concerned that the performance thresholds that the companies have to reach to raise a series B are now higher than ever. The average series A round for our portfolio companies has been $10MM in the last year, but we have seen some of our companies raise much more! Going back to your question, it’s not just pro-rata, but it’s the fact that rounds for the very promising companies are getting larger and larger. While we are watching the market very closely, I am happy that we have a larger fund under us. I would suspect other top seed firms will also scale over time. You’ve been very transparent on the companies you’ve missed on – LinkedIn, Airbnb, Dropcam, Uber, and Pinterest are all companies you’ve passed on. Are there any common themes that you could draw from the companies that you passed on? In hindsight those do look like really bad decisions! Looking back, I passed because of various reasons, either I didn’t feel strongly enough about the business model, or they weren’t performing, or I just was just too busy at the time. I think big misses are always going to happen in the investing world, but I strongly believe that having a great team, like the one we have here at SoftTech strongly mitigates against that occurrence. There have been times that I may have not cared for a deal individually, but either Charles or Stephanie brings up something I might have completely overlooked or not considered. As a good investor, you have to keep an open mind and avoid “quick no’s”. We recently did a stack ranking of all of our investments, from our breakout companies to our flameouts. We realized that 80% of the mistakes that we made as a result of overestimating the founder’s ability to execute and ignoring our intuition. If we do not 100% believe in the ability of the management team to build a company, then we are just passing. Like capital, ideas are commoditized. Also, having seen 20,000 companies over the years, I’ve learned that that you must always trust your intuition. If anyone on our team has their “spidey sense” triggered, it’s almost always a pass. I firmly believe that some of our mistakes might not have happened had we followed our spidey senses. New start-up formation has happened at breakneck speeds over the past few years, thanks in no small part of course to game changing advances in technology and early stage financing, (Amazon Web Services, open source computing, Micro-VC, etc.). And these shifts have given rise to massive innovation across a variety of sectors. One area that’s particularly interesting is the burgeoning urban innovation sector.Tumml is an accelerator program based out of San Francisco that provides financing and mentorship to companies of a very specific type – ones that develop solutions around urban impact. Said another way, these are companies that are introducing technology based solutions to solve real urban area problems. And unsurprisingly, it’s a sector that venture firms are taking notice to. After all, these are companies addressing major pain points in large and expanding markets. The following is a transcript of an interview we conducting with the founding team at Tumml, Clara Brenner and Julie Lein. It’s a great read as it provides insight on how technology has and will continue to drive urban innovation in major cities all over the world. Can you please tell us about Tumml and the inspiration around starting it? Julie: Tumml is a non-profit urban ventures accelerator with the mission of empowering entrepreneurs to solve urban problems. We’re here to support the next generation Revolution Foods and Zipcars – companies developing consumer and business-facing products and service that solve community problems in cities. Going back several years, Clara and I met when we were at grad school at MIT Sloan and discovered that we both shared similar perspectives on what we’re now calling the “urban impact” Space. Clara had previously worked in real estate and sustainability, and I have a background in local politics and governance. We both cared a lot about the future of our cities and believed startups had an important role to play in making them better – because they are nimble and super scalable, and they are attuned to the needs of their customers (i.e. themselves, as well as their neighbors, friends, family, etc). But we didn’t see many entrepreneurs starting companies in this space. As we started researching this issue more, we found that there are two distinct barriers in the urban innovation space: Funding and Mentorship. So we decided to start Tumml around our personal passion for urban innovation and to address the two major gaps in the market. Now that you’ve spent a few years providing mentorship and assistance to startups centered within the urban Innovation space, what are the 2-3 dominant themes that you’ve seen emerge in this sector? Clara: There are urban innovators working on a wide range of verticals, but a few themes that have emerged again and again are transportation, small business services, and workforce development. In terms of transportation, it would appear that entrepreneurs have been excited by the success of companies like Uber and Lyft and are starting a whole new generation of urban transportation solutions. A great example would be Chariot, which operates a network of commuter shuttle routes in San Francisco that are twice as fast as public buses and about 4X cheaper than taxis and on demand ride services like Uber. For small business services, we are seeing entrepreneurs develop incredibly efficient tech-enabled solutions for the problems small and local businesses face every day – from getting off the ground to managing data entry. A great example would be PopUpsters, whose theory is that all retail businesses should start as a popup (in order to avoid upfront costs and to build customer traction). PopUpsters is an online marketplace connecting vendors, artisans, and makers of all kinds to unique and affordable opportunities to start, pop-up, and grow their businesses. For workforce development, we are seeing a lot of specialized employment tools. A great example would be Akimbo, which is building a more inclusive workforce by connecting individuals who face significant boundaries to employment with professional opportunities in their area via a digital platform. Why don’t more entrepreneurs start companies that focus on urban innovation? It seems that the market potential is robust for these companies both domestically and globally given the lack of technical innovation in so many of these sub verticals. Are there unique barriers to entry? Julie: Urban impact entrepreneurs face a number of barriers to entry. The first is seed funding. When you are solving a community problem in a city, you are often times developing a physical product or service – like a bike share. And pulling together the upfront capital to buy a fleet of bikes is tough. Or you are working within the new economy – in which case more institutional investors really want to see that you’ve got a lot of traction before they’ll invest in you. The second challenge is finding assistance and resources. Many urban impact companies face regulatory challenges or pushback from existing players in the space that make it difficult to scale quickly. So we at Tumml have specifically designed our program to help urban impact entrepreneurs overcome these barriers. Because once these startups are able to surmount those barriers to entry, the potential for urban impact on a massive scale is huge. What are good examples of companies within this space that has achieved mainstream adoption? Julie: Companies like Revolution Foods, Lyft, and Thumbtack have done a lot to raise public awareness around urban impact entrepreneurship – they are developing consumer and business-facing services that solve community problems in cities (i.e. healthy school meals, accessible transportation, meaningful professionally opportunities for small businesses, etc). And we are excited about many of the newer companies that are also gaining traction in the space, such as HandUp (a crowdfunding platform for the homeless). VC’s haven’t historically been very active in this space, at least at the early stages. Do most emerging companies within the space typically received funding from non-traditional (at least from a tech perspective) sources such as impact investors? Clara: Surprisingly, from what we have seen, it has not been the impact investors who have been stepping up to provide most of the seed funding for new urban impact startups. Many of the impact investors we have spoken to are excited about urban impact entrepreneurship, but are not geared to make seed investments. Which is too bad, because these types of investor have a lot of knowledge about potential partners, measuring community impact, etc that they could be sharing with early stage urban impact companies. It has primarily been tech angels and micro VCs who are the early movers in the space – individuals who are compelled by the mission behind these companies, but also their strong traction within the community. Just over a year ago, I posted a blog post about the state of the “Micro-VC” market. Primarily initially invest at the seed stage. Invest on behalf of 3rd party Limited Partners. Most commonly have fund sizes that are sub-$50MM. I’m not a huge fan of the Micro-VC moniker but will use it here for lack of a better term. At any rate, I’ve dedicated much of the last three years closely observing this end of the Venture Capital barbell, and it’s been fascinating study. While I anticipated major growth in this area of the market in 2011, I definitely underestimated the velocity and magnitude. In hindsight, it’s easy to see the why such mass proliferation has occurred. Viability of small fund sizes given current capital efficiency of start-ups. Low barriers of entry for Micro-VC funds entering the market. Unlike larger funds who rely on institutional capital (Pensions/Endowments), Micro-VC funds can be raised if a manager has a deep rolodex of High Net Worth individuals and Family offices. Funding gap between Angel funding and traditional Venture Capital. Renewed LP interest into Venture Capital sparked by the bull market within tech (note that $16B was raised by VC in 1H 2014, or 1.25X of what was raised in all of 2010). According to CB insights, there are approximately 135 Micro-VC firms that are actively investing today. I’d estimate there are an additional 40-50 freshman funds that are in active fundraise mode. In my seat at First Republic, I’ve been fortunate enough to have met over 125 Micro-VC managers over the past 24 months. The challenge for many seed stage funds is managing fund sizes that typically aren’t large enough to take full advantage of pro-rata follow on rights (and sometimes super pro-rata grants), an important element when optimizing for fund performance. Many top 1st generation Micro-VC’s have significant increased fund sizes over the past 1-2 fund cycles to enable full pro-rata participation with appropriate opportunities. Felicis ($96MM), SoftTech ($85MM), Floodgate ($76MM), and Data Collective ($125MM+) are recent examples of this. I’m expecting other top Micro-VC managers continue creeping toward $75MM-$100MM funds in the coming years. In the past, a clear line of demarcation was present between Seed rounds and Series A rounds. This is simply no longer the case. In today’s world, Seed financing has many dimensions and stages – The team at Bullpen Capital was 100% correct when they stated that seed is a process vs. a singular event. To note, I’ve seen companies raise three seed rounds prior to taking on traditional Venture Capital. I’ve also observed a “Seed” round completed at $4.0MM that did not include any traditional Venture investors. Today, late stage seed rounds often resemble smaller A rounds from the perspective of company development, valuation, and dollars committed. The truth is that many of institutional seed investors are investing later in the seed process, a trend easily attributable to the continued democratization of the seed financing market and companies achieving more traction with less capital (while enjoying more non-institutional sources of capital at the early/mid seed level). Investing at the late seed level also serves as an important mitigant against follow-on financing risk for Micro-VC’s. Yes, 2014 will be a banner year for funds raised. As noted above however, the market for Micro-VC funds has exploded (note the graphic!). Unsurprisingly, this has created significant confusion and pause for Limited Partners of all types, who now experience huge signal to noise issues. Many managers appear identical making it tougher and tougher for LP’s to discern tangible differentiation. Using public data, I ran a randomized study of of a group of 1st time managers (n=23) commencing with March of 2013. The median time from fundraise launch (admittedly a bit squishy) to final or projected final close is currently 14.6 months, almost 1.5X of what I observed in 2012-2013. While edge cases like Maiden Lane and Upside Partnership certainly exist, the vast majority of first time managers are experiencing significantly tougher fundraising treks and substantial competition for LP capital. Furthermore, many early adopter institutional LP’s (i.e. Fund of Funds, small endowments, Foundations) have already placed their Micro-VC manager bets and have become increasingly reticent to onboard new names. The exception, unsurprisingly are appears managers that have emerged from well-regarded traditional Venture firms with referencable track records. As you’d expect, all Venture investors purport to be value creators for their portfolio companies. A positive byproduct of the competitive landscape is that the importance of demonstrated value add. For seed-stage managers to consistently gain curated dealflow access (truly seeing the most promising deals within thesis) and winning them without writing premium valuations, managers must demonstrate clear and quantifiable value add within their targeted sectors. This includes recruiting, potential customer introductions, mastery of business sector and models, and trusted relationships with top-tier traditional VC firms for follow on investment. Additionally, Micro-VC’s who are able to lead a round have a huge competitive advantage over Micro-VC’s who require syndicates. Examples of creating differentiation include firms like Rothenberg Ventures which employs a distinct community based millennial based approach to the market and Upside Partnership which employs a structure that provides carry to portfolio companies. While it’s been an active few years, It’ll be interesting to see how this market continues to evolve in the coming years. I predict that fewer than 50 institutional Seed firms will active in 2020. Why? The concentrated return profile of Venture Capital makes it virtually impossible to envision a scenario where more than 50 firms produce the necessary returns to earn alpha returns, particularly when an inevitable market cycle shift is factored in. Unstable LP bases. While most traditional Venture funds have LP bases that include deep-pocketed institutional investors, many smaller and/or newer Micro-VC firms have LP bases that are composed mainly of HNW individuals and small family offices. These type of LP’s tend to be bull market investors and extremely unpredictable with regard to follow-on fund allocations. That said, I will disclose that there is a signficant subset of Micro-VC firms that enjoy strong, stable, institutional LP bases. Many of the top 1st/2nd generation will look and feel more like small traditional Venture shops from the lens of investment model, firm infrastructure, and fund size. We recently sat down with Ann Miura-Ko, General Partner at Floodgate, as she gave her views on the evolving nature of entrepreneurship within tech. Named as the most powerful women in startups by Forbes, Ann has led investments in several disruptive companies, including Lyft, TaskRabbit, and ModCloth. 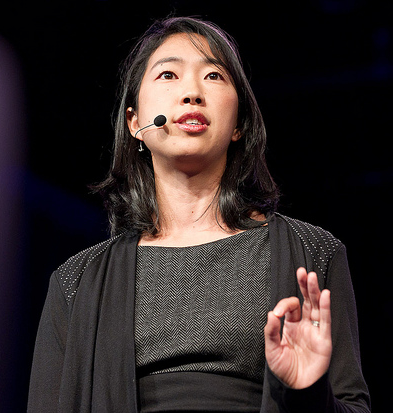 Ann also teaches entrepreneurship at the school of engineering at Stanford. Can you share Floodgate’s history and investment thesis? We emerged amidst the global financial crisis in 2008 to fill what we viewed as a gap in the financing market. This gap was triggered by the fact that traditional Venture Capital firms going up-market. And since angels were similarly facing the impact of the financial crisis, we felt we had an exciting opportunity to be disruptive within the seed market. We typically invest between $500K to $3MM in the initial round of financing as lead investors. We are looking for what we believe can become one of the top 15 companies in any given year. We feel very fortunate to have worked with some great companies and to have built a solid reputation within the entrepreneurial community. The cost of launching a start-up is exponentially less than what it was 10-15 years ago. As such, we’ve all seen massive growth in the formation of new start-ups. What is your take on the current state of the market at a high level? I think there is both a very positive side and a potential negative side to the exponential growth of new startups. On the positive side, I believe that the mass democratization of entrepreneurship we have witnessed over the last 5-10 years is as significant historically and economically as the Gutenberg press or the Ford Model T. With the Gutenberg press, we had the democratization of ideas – what used to take hours or days to copy could now be copied by the hundreds and distributed to the masses. The Ford Model T made a car affordable to the middle class and literally transformed the layout of our cities and suburbs. In a similar way, the Internet (and mobile) has enabled supply virtually through anyone can find demand anywhere. This has enabled a new generation of entrepreneurs – those who are located outside the geographical reach of Silicon Valley, those without access to a mentor who could make a quick call to a top tier venture capitalist on Sand Hill Road, and even the micro-entrepreneur who can now leverage platforms like Lyft, TaskRabbit, Etsy, or Chloe and Isabel to completely redefine the notion of employment so that it is fully on their own terms. At Floodgate, we believe that these trends point to the fact that the next Mark Zuckerberg or Bill Gates will not necessarily be a young white male hacker. That is the power of democratized entrepreneurship – it is no longer in the clutches of a small group of individuals but rather truly based on the power of the idea itself and the talent of the entrepreneur. This is what makes me extraordinarily optimistic about the future of entrepreneurship. On the other hand, the explosion of startups is not only a result of low cost of admission, but also the social phenomenon where the singular act of founding a company bestows upon that founder a hero status. What we don’t often discuss, though, is that not every startup idea is worthy of the founder. Because being an entrepreneur now is a very legitimate career path (there is now even an Entrepreneur Barbie), we are treading in dangerous waters that people will simply found a company for the sake of being a founder. Regardless of market cycles, the number of large exits (> $500M) since 2003 has consistently been between 10-20 per year. Despite what the media may portray, it is very difficult and rare to build a disruptive company. I’m not advocating against starting a company, I just counsel people to be thoughtful about doing so. Being the founder of a company going nowhere is not nearly as interesting as being employee 100 of Facebook. That makes sense. When you look at an opportunity early on, how do you determine whether a company really has an opportunity to be disruptive? I think first and foremost, we are looking for an insight by the entrepreneur that is non-consensus but right. If they are wrong, there is no hope. If the idea is consensus, since we are early stage investors, the idea will not be unique and the market will already be crowded. The second is that we want the entrepreneur to be pursuing a really large market. This seems obvious but we mean something very specific here. We want the business model of the company to be such that they can capture a significant portion of that market. It’s not enough that the industry they are part of is a big one but the go to market model has to match up to why they will be able to capture a slice of that market. Generally, we say we want to be able to imagine a path to $100M in profitable revenue within 5 years. Lastly, I would say that we like entrepreneurs to be authentic to the idea they are pursuing. The narrative of why they got started with this business idea is just as important as the idea itself. The allure of starting a company early on in one’s career can be very seductive. Going back to your hero analogy, how do you view the trade-off between starting and leading a company that may not be of massive scale vs. being a small cog in the wheel of a disruptive company like Facebook or Apple? Very few startups begin with the belief that they will not be a legendary business. Of course, we all know that truly legendary businesses are likes tiny needles in a large haystack; these businesses not only are of incredible scale, but also survive the test of time. Throughout history, the number of founders who were able to build these types of businesses without prior experience can be counted on two hands. I do think that here in the valley, we tend to really discount working for a larger company. We act like it is “selling out”. Even though I work in venture capital, I don’t think this is true. I think the very act of asking whether it’s worth it to be a “small cog” belies our assumptions about what it’s like to work at a larger corporation. Particularly for recent graduates, there is tremendous opportunity to learn from experienced managers who have grown teams and cultivated talent. The opportunity to work for a disruptive and visionary company at any capacity is an invaluable experience and can prevent future entrepreneurs from making obvious and subtle mistakes. I’ve asked this of some of my students at Stanford and have asked this of some entrepreneurs – is this idea truly good enough for you? If it isn’t, find another idea or go work at a company where the idea is good enough for you. Once a company has launched, what is the top signs early on that provide clues on a company that is “hitting” and how long before those clues really start surfacing? Early indicators differ for types of companies. For companies that are technology driven, I’m looking for early proof points that the technology works. This can take a few years to get to revenues so I want to see technical development over that time frame whether it is interim prototypes or new use cases as we test on various verticals and customer sets. For B2B companies, revenues tend to be the early indicator. The best companies reach $100K in revenues within 12-18 months and $1M within the next 12 months. For B2C, we look at either revenue (similar to that in B2B companies) if that is the business model or we are looking for network effects and user growth. Lastly, the caliber of hires is a strong sign across the board. If you’re bringing on top-tier talent, chances are that you’ve built something that has a clear value path. What about Product-Market fit? We hear how important this is as an early milestone. What are the early signs that a company is reaching Product/Market Fit? Product Market fit is binary – If you’re asking whether or not you have it, I can guarantee that you don’t. You will always know when Product Market fit is happening. The company won’t be able to meet demand or hire quickly enough. When Product Market fit has truly happened, product is literally being pulled from your hands; if you try to take it away, customers will scream for it back. That’s what real Product-Market fit is and everything prior to that is a company still striving for it. Given the backdrop of your earlier comments, where is entrepreneurship headed in the future? We recently sat down with Rob Siegel, General Partner at XSeed Capital, a seed fund based out of Portola Valley, to discuss founding team cohesion and the role it plays in a company’s success. Rob’s investment areas include enterprise software, business operations where computational technology helps automate/improve company performance, and computing platforms that shape both business and consumer behaviors. He sits on the Board of Directors of Lex Machina, SIPX, Zooz, DropThought, CirroSecure and ZipLine, and he spearheaded XSeed’s investments in Pixlee, Chatous, Neon and Breeze. Can you share with us the XSeed Capital story? 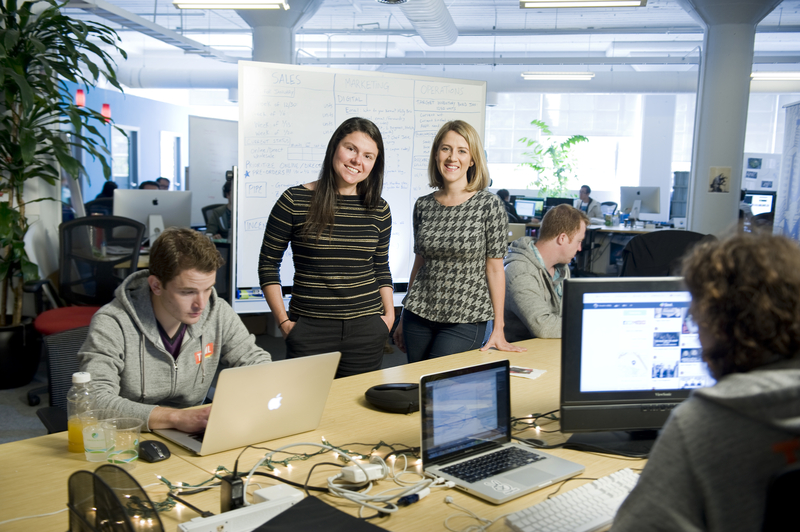 We began operations in 2006 and were part the first wave of seed-focused Micro-VC’s. Our investment thesis is grounded in working with companies where strong technology is the core component of differentiation. As such, we gravitate towards deals where the market problem/fit is understood, but the technology is challenging to solve. While we tend to be very engaged with our entrepreneurs, we also know when to hang back and not get in the way. Our team is comprised of former operators, so our goal is to enable our entrepreneurs to make original mistakes, but also help them with missing the avoidable mistakes that we made in our pasts. Our initial check sizes tend to be in the $500K-$1MM range, but we are flexible to larger or smaller amounts when it makes sense. One thing that is unique to XSeed is the way that we leverage our talent, which includes EIR’s, advisors, and Fellows. Unlike traditional firms, these roles are integral to both our decision-making process and also to supplement our Partners in assisting our companies as needed. Aside from the core technology platform, it’s difficult to debate the importance of a strong and cohesive founding team as perhaps the most important key driver to the success of the company. What are the top traits you look for in founding teams? We actually look at the founding team very carefully before we make any investment. For us, we view the world through the lens of the team’s experiences and personality traits. Regarding previous experience, our focus isn’t restricted to working with teams that have run successful startups in the past, but rather we focus on where we find people that have successfully leveraged their experiences to grow critical skillsets and that are passionate about their domains. We love teams that are authentic to the markets they serve, are driven to have a huge impact, and want to draw in others to help achieve their goals. From a personality standpoint, we look for people who are forceful and strong, but are also open to rigorous debate and divergent viewpoints. We gravitate towards entrepreneurs that are focused on getting things right rather than always being right. We look for people that have a maniacal obsession with creating the best solution for their target market – people who really want to delight their customers. Those traits seem very important but don’t necessarily speak to how two or sometimes, more individuals will work together. You recently penned a blog post centered on the “Alphabet Soup Theory of Relationships”. Can you explain what this theory is and how it relates to start-ups? The idea behind the Alphabet Soup Theory actually came from a discussion that I had with my wife about relationships. The core idea is that every one of us has 26 needs, which I characterize through the letters of the alphabet. While no human being can match up perfectly with all 26 letters/needs of another human being, the most important thing in a relationship is to find someone that lines up well with your “vowels.” Without vowels, people are unable to communicate with each other – there is only noise and gibberish. I think this idea also applies to the start-up world. Every co-founder should strive to determine his or her five vowels and then try to find someone who maps well to those needs. A=Amusement: You need to enjoy the people you work with. Start-ups are HARD, and you might as well succeed or fail with people you like being around. E=Evolution: Teams need to be comfortable that roles/responsibilities will evolve. Are you and your co-founder comfortable with the inevitable evolution of roles? I=Interdependence: Everyone on the team depends on each other. It’s important that, like a successful sports team, team members should have unique and complimentary skill sets. O=Objective: One of the most painful situations in a startup is when a cofounder is not pulling his or her weight. When this happens, cofounders need to be able to communicate with clear, concise and objective measurements on performance. U=Understanding: The instant home runs we read in the press are six sigma outliers. Most days are battles for founders, both professionally and personally. As co-founders, you have to fully understand each other’s unique professional and personal challenges. What are the early warning signs of a deteriorating co-founder relationship? The most common warning signs that we see are when unresolved or lingering conflicts occur on a regular basis. Disagreements are expected and, at an appropriate level, encouraged. But when you and your co-founder have consistent conflict on a topic and can’t get over these challenges, or if you keep revisiting the same challenge repeatedly, it’s a sign that serious misalignment might be brewing. These things tend to snowball very quickly. What do you believe is the number one contributing factor in founder dissolution? Lack of trust amongst co-founders. Without trust, every comment and discussion is colored by perception, misinterpretation, and skepticism around agendas and motivations. With trust, candid and productive discussions are easily achieved, as everyone understands the common objective – to make the company successful with everyone’s interests in mind. When people don’t trust each other, issues don’t get confronted, and this is the single biggest personnel issue in companies. What roles do investors play in maintaining founder alignment? For the most part, it’s about pattern recognition. Our job is to look for the types of things we may have seen in the past and flush them out early. Sometimes our job is to get involved directly or to bring in another person to help with a troubling situation. Despite the fact that I have founded and run companies in the past, I know that founders may be reticent to say certain things to their investors as they view likely view me primarily as their source of capital. Because of this dynamic, XSeed will sometimes bring in someone else to help with a difficult situation who can coach a team and can be seen as their trusted 3rd party mentor. Sometimes things are just not salvageable. In this type of situation, how do you disengage? Are there good ways to “fire” a co-founder? If you get to a point that a relationship has become irreconcilable and it’s simply never going to work, the founders have to make a change. This is unfortunate but it happens. It’s actually preferable not to have to experience this as an investor because it’s actually easier if a team stays in place and gets it right than to have to find a replacement of a key person, which takes time, money, and involves substantial risk. That said, teams cannot be accepting of dysfunctional situations and they need to confront non-working scenarios head on with alacrity. Of course, transitions don’t have to be completely acrimonious. For example, entrepreneurs can be magnanimous with separation packages. Continuing to cause tension is not in the best interest for anyone. I’ve seen in my career that if you handle yourself well during rough times, good karma returns your way. I’ve been working in the Valley for over 30 years and one thing that I have learned is that people usually come back into your life and career. It’s never worth burning a bridge. A couple of weeks ago, I published a post which posited that Venture Debt at the early stages is overused in today’s market and listed out some key considerations that companies must understand prior to taking on leverage. One consideration that I’ve opined on repeatedly is the concept of lender reputation and the necessity of choosing a Venture Debt provider that is aligned with you on all fronts, from personality to business philosophy. Western Technology Investment (WTI) without question, is one of the benchmark Venture Debt investment firms in the world, and has provided over $3B in debt financing across a 30+ year history to companies at all stages of development. Companies such as Facebook, Google, and Palantir have chosen WTI as their debt partner. The below is a transcript of an interview with Dave Gravano, who has 17 years of venture lending experience and is currently an Investment Partner at WTI. WTI has been in the Venture Debt Market for nearly 35 years and has been through several economic cycles. Can you give us some perspective on how the Venture Debt market has evolved over the years? In 1980 when WTI was founded, capital was far less available than it is now and ironically, companies were much more capital-intensive. We actually started out leasing server infrastructure, computer hardware, and lab equipment. There weren’t a lot of venture debt players until the mid-1990’s when venture capital dollars started to significantly ramp. Then, when the dot-com bubble burst there were several venture debt firm casualties. Today, the market is as crowded as ever with both venture debt firms and banks aggressively playing. WTI has invested capital in hundreds of game-shifting companies, including Facebook and Google. With the myriad of options that companies have for debt financing, why has WTI been able to be so successful in attracting top companies? I think the mark of a great lending partner is one that operates consistently and communicates with its existing and prospective portfolio companies in a transparent way through good times and challenging times. Our partnership has deep domain and operational expertise, and we aren’t afraid to roll up our sleeves to help our companies optimize for outcomes. This approach has earned us a great reputation and has built up a lot of loyalty with entrepreneurs who have experienced working with us first hand. Many of them come back to us when they start new companies. Can you articulate how your capital and approach differs from others in the market? At WTI, we seek to provide much-needed risk capital to emerging growth companies in exchange for an acceptable return to our LPs. We believe that our capital is significantly more flexible than all other forms of debt capital currently in the market. It has no covenants associated with it and it is not part of a package that includes deposits etc. We get comfortable with risk by taking a deep look at the underlying business and team, and not just relying on investor syndicate. Fully understanding a business model allows us to eliminate perceived risk that clouds the traditional lending risk profiles of companies. Take us through WTI’s process of evaluating Venture Debt opportunity? In particular, tell us the key metrics that you analyze carefully before investing into a company? First and foremost, it starts and ends with the team. If we’re not confident that the team can execute and communicate with us in a transparent way, then we’re going to struggle to get comfortable. Of course, we also closely evaluate factors such as revenue growth, competitive landscape, upside potential as well as the financial statements and the make-up of the cap table. The composition of the cap table is important, as it enables us to analyze the upside potential of a deal (WTI takes equity in the form of warrants for their deals), and potentially predict investor motivation. You mentioned earlier that the debt market is crowded. For a company, is the choice of lender a simple exercise around who is providing the best terms? No. While a deal needs to be economically feasible and within market, the most important decision variables are qualitative to ensure alignment of interests. Things like funding source and organizational structure are important to consider because they inform how the lending partner is likely to behave under certain circumstances. These details can also indicate whether the lender will take a short or long-term view. Additionally, the company needs to be able to identify whether the lender will be able to provide more capital under various scenarios. Entrepreneurs should map out various scenarios and ask for the lender’s perspective on each if additional debt will be needed. Finally, check out the lenders reputation in working with companies during tough times. This is THE most important factor. What mistakes do you see companies make when taking on Venture Debt? 1) I mentioned this in my previous answer, but not doing enough diligence on the lender is the #1 mistake companies make. Ask the lender for references, and of course do your own independent diligence. If the track record for working through tough times is spotty, its best to select a different debt partner. 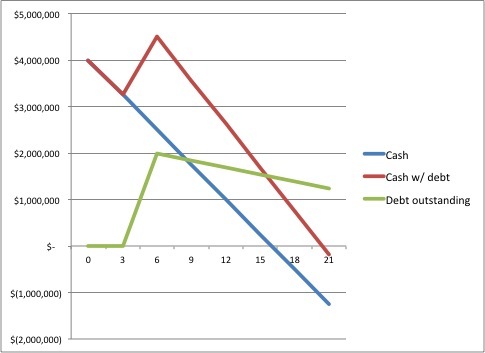 2) Unfortunately, the seductive nature of cheap and easy capital leads to management teams trying to raise too much debt too soon without understanding the potential complications when things don’t go 100% to plan. 3) Not being transparent when bumps in the business are encountered. Many are fearful of adverse lender reaction if they let the lender know about the various speed bumps. This couldn’t be further from the truth. Not being transparent creates unpleasant surprises and severely reduces the chances of a lender working with you when you really need them. Well, despite the neat theory the standard benefit use case provides, I’m implying that companies take a much deeper dive before making Venture Debt the default measure post of raising that early stage equity round. As suggested above, my position is that far too many early stages companies are taking on Venture Debt than should be (my stance is rather different at later stages and for working capital facilities). The evolution of the Venture Capital industry has been fairly dramatic over the past several years. A trend that’s emerged prominently in the early stage market is the massive supply of seed stage companies relative to supply of Series A capital. Bullpen Capital is one of the early pioneers in providing stage specific financing related to this phenomenon. The below is a transcript of a chat I recently had with Duncan Davidson, Founder and Managing Director of Bullpen Capital. Duncan has over 25 years of investment experience and was previously a Managing Director at VantagePoint. By now, nearly everyone in the industry has heard of, and is likely fatigued of the term “Series A Crunch”. You and the rest of the Bullpen team identified this issue several years ago and developed an investment thesis around it. Tell us more about the factors that led the team to identify the issue. We’ve now seen a decade long plus era of cheap – it now takes a lot less money to get a company started than ever before, which has created a massive increase in start-ups and seed stage focused funds. During this era, the ability to rent the cloud from Amazon and use open source software has dropped the cost of capitalizing a start-up from ~$5M in 1999 to $500K in 2010. Our belief was that with the mass amount of activity at the inception stage along with the concurrent consolidation of the old venture industry, there would be a fundamental and pronounced funding gap as the post seed level. The seed rounds of today are akin to the old Series A of yesteryear from a company development standpoint, but the A rounds are getting bigger, “Super Sized” and more like C rounds, waiting for the deal to be de-risked. Do you believe the relatively scarcity of A round funding will sustain? If you look back in history, every one of the tech booms were characterized by some fundamental change. In this case, the era of cheap has fundamentally changed the venture funding landscape. As long as that continues, the Series A Crunch will continue. This is not just a temporary problem of capacity in the industry. With this not being an ephermal issue then, how should entrepreneurs look at taking capital and planning out their seed rounds? Well, raising seed capital is now a process and not a singular event. An entrepreneur needs to understand that they will never get out of the money-raising business. They will be raising money all of the time and in most cases, in a series of smaller raises. At Bullpen, we are late in the seed process once a company has demonstrated things like product-market fit. When you’re in a Bullpen round, you are in the final stages of the seed process with the next round being a growth oriented “Super Sized” A round. On the other side of the spectrum, the venture industry has seen a consolidation of capital where a select group of venture firms have and continue to raise massive funds. How does this side of the equation factor into the Series A market? Series A rounds traditionally have meant the first traditional VC money in. Now those rounds are seed rounds, led by Seed funds and/or Angels. Fundamentally, it doesn’t make sense for large traditional venture funds to invest in seed rounds for a myriad of reasons. Instead, we will see larger firms filter out companies quickly in the seed ecosystem, and focus on what we think of as Super Sized A rounds. Once you know that a company is going to scale, why not invest $10M, $15M, or $20M instead of the typical $5M Series A? It makes for better fund alignment for larger funds. The number of “A” rounds isn’t reducing, but the profile is. Speaking of Super Size A rounds, outside of potentially unnecessary dilution, is there any reason a Company should forgo a massive Series-A financing, especially in situations that the cash is not clearly needed at the time? The funny thing about raising a large amount of money is you sometimes feel trapped by the money to prove the thesis or business model you raised under was correct. Also, we’ve seen companies raise tons of capital at sky-high valuations relatively early on, only to come crashing down due to irrational expectations. If you take that path, be thoughtful as your margin for error can be razor-thin. While so-called unicorns are very rare, there has been a huge recent uptick in private companies that have received massive rounds at billion dollar valuations. You were actively investing in 1999/2000 when companies with very little fundamentals were going public. Most companies going public right seem to have, at the very least strong top line metrics. That said, rumblings of a bubble are out there. Your thoughts on this subject? First of all, we’re not in a bubble. If I had to make an analogy to 90s, we’re not 1999 yet. If you look at the stats in 1999, every silly company received ridiculous valuations. So when it’s a selective stupid valuation market, you’re not in a bubble, which is what I believe is the case now. I would say we’re probably 1997, but not necessarily on the same path of what happened in the late 90’s. We have had a couple of really good years with Facebook sort of being like the Netscape IPO of the mid-90’s. Throughout history, most markets follow a periodic boom/bust cycle. It’s endemic to the industry that a boom has to occur. How else do you get people to put money into crazy ideas or adopt new technologies without the mentality that we have to do this? If this is missing, people will resist, incumbents will win, and challengers won’t break through. It’s part human nature. Therefore we must embrace boom and bust. We can’t think there’s something wrong or endeavor for some normal in-between. Sometimes booms do get out of control, which creates a bubble. We expect this era of cheap to go through a boom cycle and we’re about halfway through it. I recently sat down with Ullas Naik, Founder and General Partner of Streamlined Ventures, to discuss the current seed fundraising market. Streamlined Ventures is a seed stage firm that focuses on investing in business application and infrastructure software companies. Ullas has nearly two decades of investing experience and previously 12+ years as a senior Partner at Globespan Capital Partners. Tell us a bit about why you formed Streamlined Ventures? At Globespan, we primary focused on early/mid growth stage investing, but I always gravitated toward early stage investing. When I parted ways with the firm 2 years ago, I continued angel investing and realized that there were many interesting investment opportunities where I could invest my personal money and lead seed rounds. I started to think about raising a fund where I could lead these rounds and that dovetailed with a specific thesis that was formulating in my mind around business applications and infrastructure and how to get companies in these spaces to extreme scale with limited dollars. You’ve had a long history in investing as both an investor and as an angel. What are the differences between investment philosophies between the two and should this affect the way entrepreneurs approach pitch meetings? It all depends on the stage of the business. A very early stage company with limited proof points is probably not ready for today’s institutional lifecycle VC. They may take a meeting because of prior relationships but it’s unlikely that they will invest. At this point, the most realistic option is to raise money from F&F/ angels, and potentially Micro-VCs. Although these days even the opportunities Micro-VCs are seeing have a lot of business progress and traction. There seems to be a fairly established fundraising pattern that companies follow where the first $300K-$500K is raised from F&F/ angels round, followed by 1.5M -$2MM from Micro-VC’s, and then a traditional institutional round. What are some of the other options for companies have proof points and are seeking to raise between $500K to $1M to get them to the next milestone? Micro-VCs and angels are probably the only option when you’re raising a pool of capital that’s between $500K and $1M. You might have some strategic investors corporate investors interested if the value proposition is synergistic, but I’d recommend companies tread carefully at this stage as raising from strategics early can create numerous unintended consequences down the line. What about crowdfunding platforms such as Angellist? I think crowdfunding solutions are good and fair options but it’s not 100% clear to me that those avenues can fill an entire $1M round efficiently and effectively. Plus, if you want an active investor, then the angel list syndicates are not a good source for that. They are a good option for filling out a round where the entrepreneur has folks that are going to be active investors. What are the pros and cons of raising money from a Micro-VC compared to a traditional larger lifecycle VC? Well it’s not an either/or. Often times, Micro-VCs will not take up the entire seed round so there are opportunities for larger venture investors to participate in the round. That said, the commonly accepted challenge for entrepreneurs taking seed capital from larger institutional investors has been signaling risk. In other words, if that large investor does not lead or participate in the Series A (which they are set up for), it raises concerns for other prospective investors. From my experience, I’ve noticed that most traditional VCs will not do seed rounds because they don’t have the bandwidth or time to keep track of each individual investment. There’s also ample deal flow as evidenced by the so-called Series-A crunch for these VCs to wait upstream for opportunities. What are things that you expect an entrepreneur to know before a pitch meeting? What questions should they ask you during a meeting? First, do your homework to determine if what you’re selling is something that I would even buy. There is tons of information out there about my background and firm strategy. If you utilize the power of your network to get a meeting with me and it’s a complete mismatch, that’s a bad use of everyone’s time and taints my perspective of the entrepreneur. Second, understand how my firm fits in the financing ecosystem. Pitching a $6MM financing round to me is waste of time if my investments typically range from $0.5MM to $1MM. Third, don’t boast about meeting with XYZ large VC in order to impress me or create a sense of urgency. In my mind, this is a huge misfire because I may know the large VC’s better than you do and I will question whether you have thought out or understand the fundraising process. Once you determine the right fit, the question that you should be asking me is how can I add value to your company? Can I help your company reach the next stage of value creation or beyond? Do I have the domain expertise to help you expand the business? If I can answer these questions in a convincing manner, then it is beneficial to continue the dialogue. If you’re not convinced, then I’m wasting your time. What do you primary look for in a company when investing? How do you balance between things like team/market/traction/etc? The three critical factors that I consider are (1) market and timing of the market (the “why now”) (2) quality of the team, and (3) product and its fit with the market opportunity. If I can solve for the first two then I may take a chance on the third. Recently, we have seen Venture Capital firms of all sizes shift away from convertible debt and instead insist on priced rounds? What are your thoughts on this trend? I don’t particularly care as long as I have a cap and there are certain key rights captured in the note such as information, pro-rata, and non-repayment rights. From my perspective, I’m trying to eliminate as much friction as possible so I won’t let a priced round versus a convertible note get in the way of a deal because I know that I will get preferred equity when the note converts. I suspect the shift to priced equity rounds is due primarily to the early establishment of corporate governance. A lot of young companies operate without a board but I’m not too concerned because I meet with all of the companies in which the fund invests at least once a month for multiple hours. This is built into my model and I have found that entrepreneurs appreciate the input and prefer this structure. What advice would you give a company that is forming and looking for its first round of financing? First of all, make sure that you have an enormous amount of passion for the underlying problem set that you’re solving and the sector that you’re operating in. If you don’t have this, you will most likely get weeded out. Second, try to amass as much intellectual horsepower (advisors, investors and out-of-the-box thinkers) around the company as possible. This will give you a massive advantage. Lastly, I always tell entrepreneurs, and I know this is a little self-serving, to stray away from valuation as the main decision variable and really focus on getting the right value added investor(s). Many people say they do this, but when it comes down to paper, the allure of a higher valuation often wins out (and for the most part, it always back fires in the long run). Likewise on advisors – if you have to give them equity to get them involved and become immersed in the business, then do it, but hold them accountable. Venture Fundraising mistakes you can avoid! Below is a guest blog by Matt Miller, General Partner from Walden Venture Capital, a “Sprout” stage firm based out San Francisco and Menlo Park. 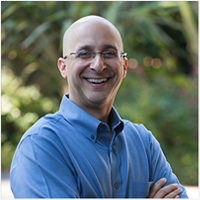 Since moving to Silicon Valley to begin work at Oracle in 1989, Matt has held leading roles at Remedy Corporation, Moai Technologies, and for the last 12 years at Walden Venture Capital, a firm which targets digital media and cloud technology companies that at the sprout stage of development (think very late seed/early Series A in today’s world). Over the course of his career, Matt has taught many CEOs What You Need in a VC Presentation, as well as listened to countless pitches as a venture investor. Here, Matt shares with us some of his industry insights and some candid advice on venture fundraising. He looks beyond the structure of the pitch and talks about the challenges and misconceptions that face the entrepreneur when navigating the VC minefield. You may think you know who you can raise money from, but do you really? Do you have the best shot with an angel group or VC’s? 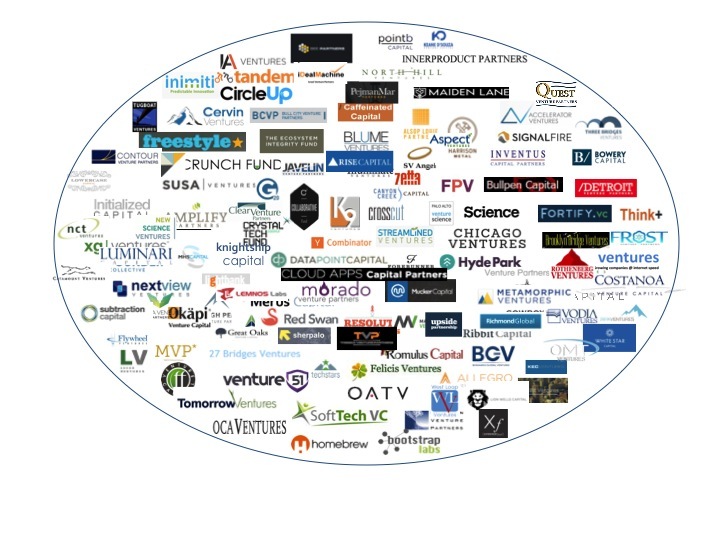 How many VC firms can lead a round in your industry and have done so recently? Which ones are they? Why would you want VCs instead of angels when they require board seats and more oversight? How do you change your pitch for angels versus VC’s? Unless you have thought through all of these questions and done your homework, you are not ready for your first meeting. And before that meeting, you need to study the firm and the partner you are meeting with to understand how to pitch them and to tie what you are doing directly to their focus. Most entrepreneurs are under the impression that investors are a homogeneous group, but unlike many angel investors and crowdsourcing platforms, VC firms focus on certain stages or industries and rarely stray off strategy. Furthermore, only a small subset of VC investors are lead investors – willing to lead a round with a term sheet. The rest are followers. A recent study by Flag Capital reported here that only 86 tech venture capital firms remained active in 2012 with a low bar of $1 million invested in 4 consecutive quarters. Only a portion of those were lead investors, so you get the point…there are no longer hundreds or thousands of VC’s out there that are legitimate targets for you. There is real work in identifying the few that fit your stage and industry. You need to dig deep and know each firm’s portfolio and partner interest to make the most of each meeting you get. You would be surprised how many entrepreneurs fail to do this. Much has been written and blogged about the evolving differences between angel invest and venture investing in early rounds. While the volume and availability of angel and new crowdsourcing platforms is unprecedented, the main differences in taking angel money and venture money have not changed much over my 25 years in the valley. Put simply, angels invest earlier than VCs, usually through convertible debt, and typically do not take board seats or exert too much influence over the company. They may or may not participate in future rounds. Angel firms are a new invention and bend these general statements a bit, but not much. Venture firms by contrast usually start investing after a product has been created, and after angels. They will expect a board seat for a partner who should be able to spend significant time and energy improving your company with you. The VC firm will typically invest in future rounds and play an active role in company building and strategy, bringing in other investors as capital is needed. Obviously venture firms deploy much larger amounts of capital than angels do, but there are merits to each approach at different stages of growth. What is important is that you educate yourself about the different investors and understand where they fit in your fundraise. Entrepreneurs love to talk about what they are inventing and who can blame them? Overcoming technical challenges to solve a problem drives us all, and it is natural to assume that when you finally get a face to face meeting with a VC the technology is the star. But it is not. You and your potential business model are the focus for the investor. Yes, I want to hear how your technology solves a problem and I am curious how your tech creates barriers to entry. But we are only going to make money together if you explain the value proposition to a consumer or enterprise and why they will pay. Before you argue, let me clarify that there are certain areas where if you could build the product you describe, we all see why it is worth investing, but respectfully, it is unlikely that your company fits this category. Some innovations that speak for themselves might be nuclear fusion or dramatic new battery storage tech. Short of those, you should assume that the most important part of your presentation is the value proposition to the customer, not the core tech. I believe that if you can get the investor excited about the problem you are solving and the market potential for extracting payment, you are in great shape, even if he does not fully grasp your technology in a first meeting. That’s OK, you will get a second meeting and get to dive deep. So if you have not invested a better battery or nuclear fission and can show it working on our conference table, I suggest you really spend the time nailing your articulation of the value to the customer and why it is worth big money to someone to solve the problem. Unless the investors can get excited about a market opportunity you have clearly laid out and how your innovation nails it, you cannot move on in the presentation. This “aha moment” can come in many forms, but please do not make the rookie mistake of assuming that if you show me a really cool piece of tech that I will immediately see how it can be monetized. That is your job, not mine. You may not have all the answers in an early stage pitch, but you need to have very convincing use cases and go to market plans.